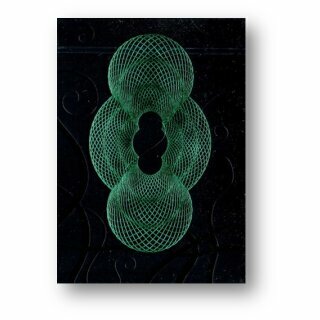 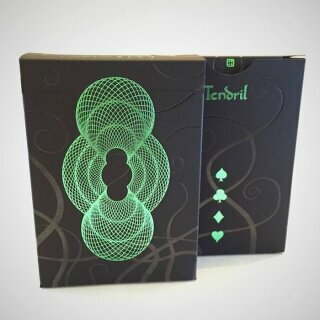 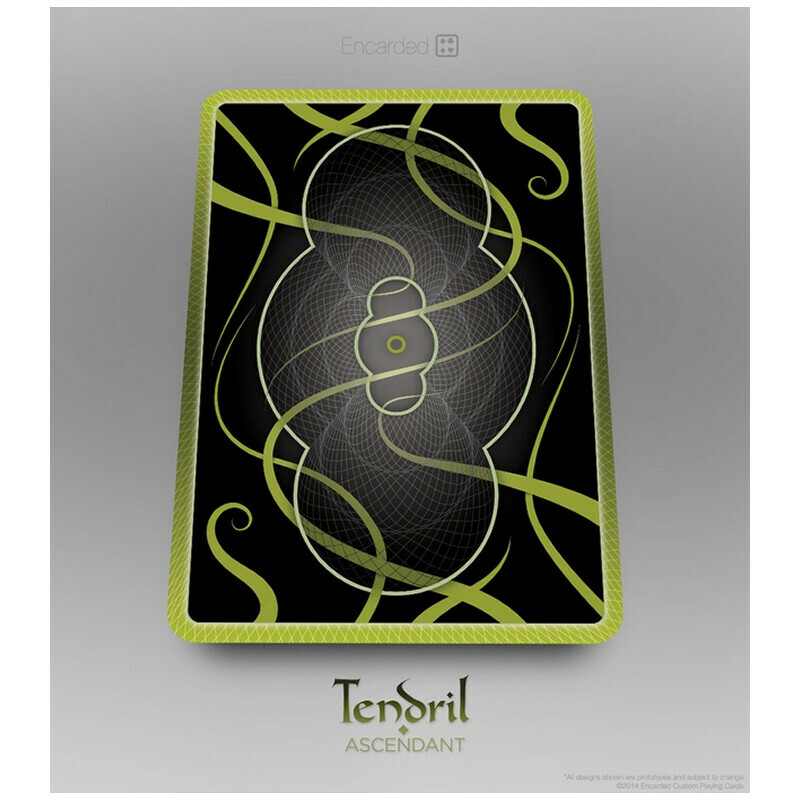 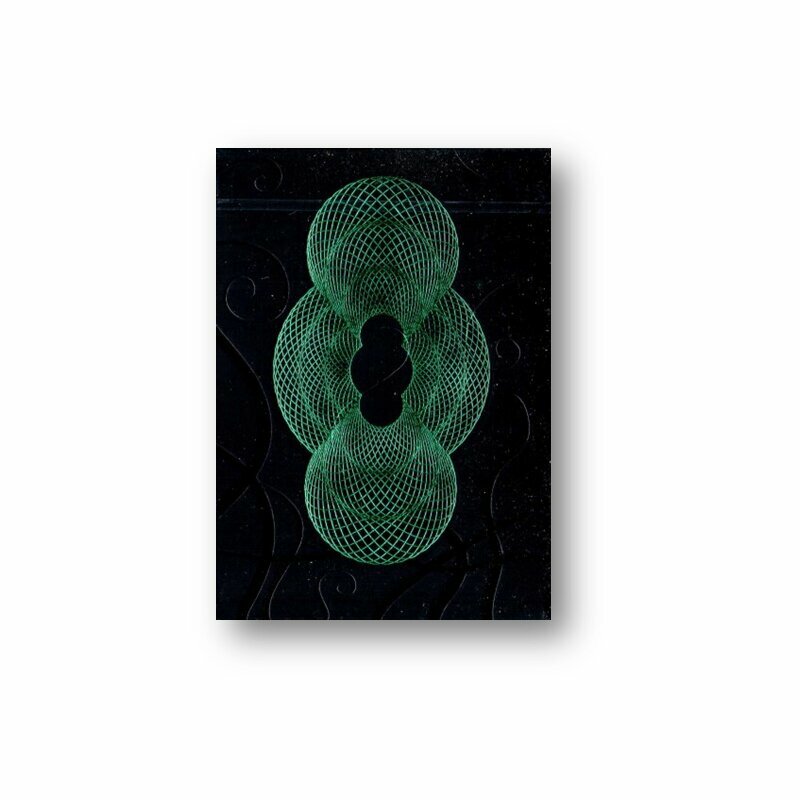 Tendril: Ascendant playing cards incorporate all the refinements that we have learned over the years and mixes those with the organic symmetry first seen in Tendril. 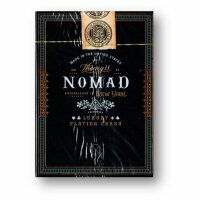 The colors are bold, the borders are intense, the faces are dark and the level of detail has been increased. 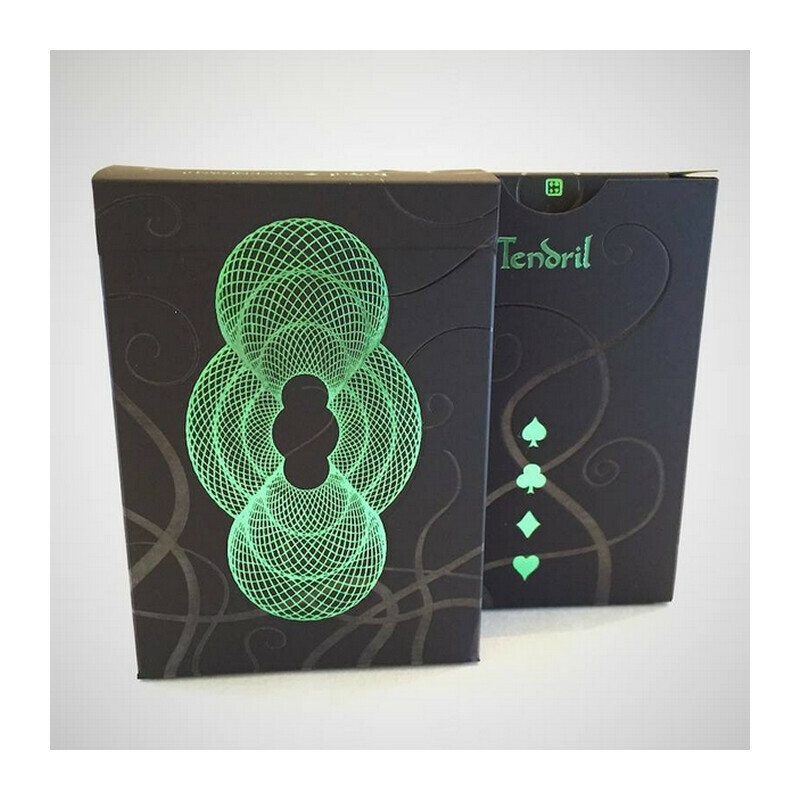 The box is printed on a soft-touch matte black paper with incredible metallic green details and subtle gloss black foil tendrils. 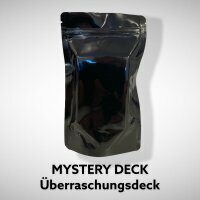 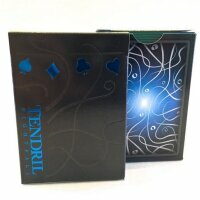 This deck was printed by USPCC in a limited run of less than 5,000 and will never be reprinted. 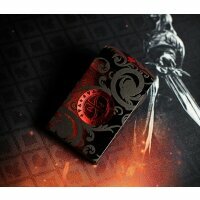 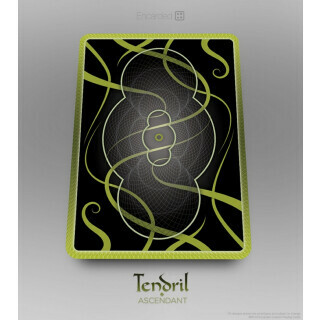 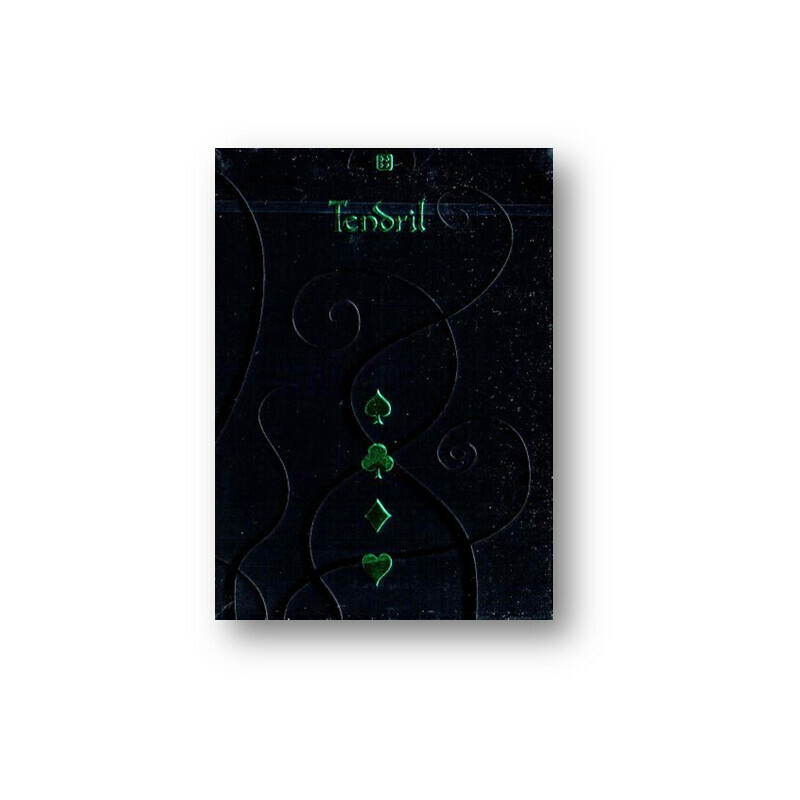 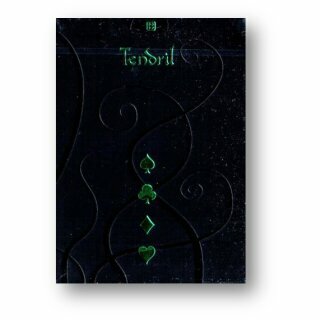 The original Tendril deck from 2012 is extremely sought after and impossible to find, so get Ascendant while you can.